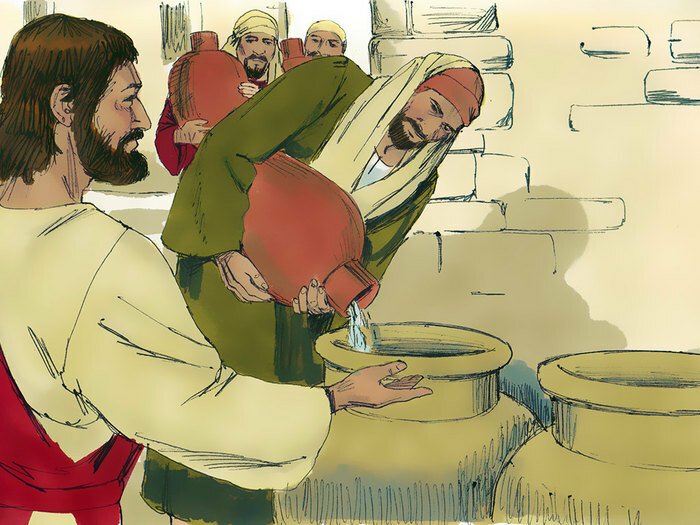 The current sermon series at my church is called “Last Call” in which Phil Wilson, Lead Pastor of The Bridge Fellowship, has focused on the miracle at the wedding in Cana, as seen in John 2:1-11. This is where Jesus infamously turned the water into wine. You know the story. The wine didn’t last long. Mary informed her son about the situation. She knew he could do something about it. But Jesus told her, “Dear woman, that’s not our problem. My time has not yet come.” To which Mary, earthly mother to the Son of God, overrode her son completely despite his objection, and told the servants “Do whatever he tells you.” Jesus then complied and performed his first public miracle. Studying this Bible story and digging deeper into it got me thinking… This was his first public miracle. Mary was beyond confident her son could rectify the situation to save embarrassment to the bridegroom and his family. I wonder: what was it that made her so confident (besides the whole virginal conception thing)? I can only imagine Jesus doing some private mini-miracles throughout his adolescence and young adulthood. You know, kind of coming into his own as Messiah. Maybe something to lighten the chore load such as having an unending supply of bread and fish for dinners. Maybe having the trash not pile up to where he did not have to take it out. Perhaps the laundry was the cleanest Mary had ever seen it because he used holy water to wash it. These examples are a bit silly. Realizing the Bible’s firm claim that this was his first public miracle, it’s fun to wonder if Jesus performed “practice” miracles to prepare for his “glorious reveal.” Which, in turn, leads me to this question: what are you doing to prepare for your own “glorious reveal?” In other words, what are you doing to prepare to reveal to others your role in God’s Kingdom? What’s your specialty? Your spiritual gift? Your talents? Where do you put forth your efforts? How do you spend your time? We all have the opportunity to be someone special in God’s Kingdom. Equally, we also have the opportunity to be not-so-special. Just like Jesus had his glorious reveal at the wedding in Cana, we have to be prepared and ready to go when we are called to reveal ourselves in a big way. If we have not achieved our big reveal, we should be working towards it (the practice part). Once we know it has been achieved, we build upon it – following the lead of the perfect leader. We have been called by God and should be living a life worthy of that calling. just as you have been called to one glorious hope for the future. John 2:11 says the miracle of changing the water to wine was the first time Jesus revealed his glory. The disciples saw this and believed him. How can (or will) your glorious reveal make an impact on others?